Ready-made is not necessarily the best option. 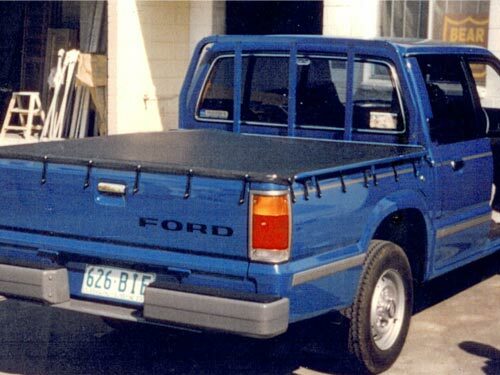 Given the popularity of utes in the country, people have often experienced problems in finding the appropriate tonneau covers for their vehicles. Standardised sizes that are common in the market today are sometimes too ill-fitting to function. Some barely reach the sides of the tub, while some are too loose—which has sometimes been the cause of very dangerous situations for motorists on the road. Compared to the pre-made truck tonneau covers which may or may not require the customer to do their own fitting (which is also why there are so many ill-fitting covers around), why not consider the option of getting fitted for one? It is always a good option to consider getting a measure and design quote for your vehicle from trusted professionals with years of experience in the business. Aside from ensuring a perfect fit, a customer coming in for a fitting might be presented with additional options that can satisfy their individual tastes. This, plus getting tips from those skilled trades people about the cover’s fabric specifications, as well as common best-practice advice about proper maintenance and care would make purchasing a made-to-order cover have more bang-for-the-buck than buying pre-made. Hunter Canvas has high-quality imported fabric that stands the test of time and the ruggedness of the open road. The vinyl used is tear resistant and great for covering either the most delicate or the most difficult of cargo, or just to protect an empty truck bed from the elements. These made-to-order pieces achieve their trademark perfect fit through a very precise initial measure and design process. What’s more, the input of the customer is given great consideration when making the design so that everyone comes away satisfied with the product. The standards for quality truck tonneau covers have never been higher.